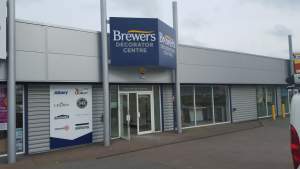 Offering an outstanding array of decorating products and solutions from all the major brands, including a stunning selection of trade and designer paints, our Cheltenham branch ensures a warm welcome for all trade and retail customers. The showroom gives access to a vast variety of wallpaper pattern books to help ignite the imagination and create that perfect space. With superior product knowledge and expert advice with free delivery within the local area, our Cheltenham branch is a one stop shop for all your decorating needs.